On July 31, the Pipeline and Hazardous Materials Safety Administration (PHMSA) issued an advance notice of proposed rulemaking (ANPRM) seeking comments regarding actions an operator of a gas transmission pipeline is required to take when population growth near a pipeline causes its class location to change. The ANPRM does not propose any new regulatory initiatives, but continues the discussion about whether expanding integrity management (IM) requirements may provide an alternative to current requirements when a pipeline’s class location changes. Comments are due by October 1. The class location of a transmission pipeline is based on the number and type of dwellings intended for human occupancy located near the pipeline. Class locations range from less populated rural “Class 1” areas to more densely populated “Class 4” areas containing taller buildings. Class location is used to determine a pipeline’s design factor, which in turn, is used to calculate the pipeline’s design pressure and maximum allowable operating pressure (MAOP). A pipeline’s class location also affects other design, construction and operation and maintenance requirements. If the class location of a pipeline increases, the operator is required to perform a study of the design, construction, testing, condition, and operating and maintenance history of the segment. The operator must confirm that the hoop stress imposed by the MAOP is commensurate with the class location, and may be required to lower MAOP. 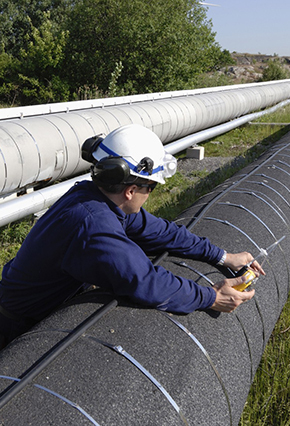 Under the existing pipeline safety regulations, when the class location of a pipeline changes, an operator may be required to either reduce the line’s pressure, perform a pressure test, or replace the line. PHMSA has issued numerous special permits to operators of transmission pipelines waiving the pipeline safety regulations to avoid having to replace a pipeline or reduce its pressure as a result of a class location increase. Such special permits contain conditions to ensure safety, including the requirement that the pipeline be included in the operator’s IM plan which requires enhanced measures for assessing, identifying and mitigating pipeline risks in “High Consequence Areas” (HCAs). In the Pipeline Safety, Regulatory Certainty and Job Creation Act of 2011, Congress required that PHMSA evaluate whether expanding IM requirements beyond HCAs would mitigate the need for class location requirements. In a report to Congress, PHMSA acknowledged industry’s desire to expand IM measures when the class location of a pipeline changes, and acknowledged that improved assessment technologies are important to mitigating and remediating risk. PHMSA stated, however that IM measures do not adequately address the safety role of class locations with respect to design and construction and some operation and maintenance requirements. PHMSA also described certain safety and documentation issues recently observed with respect the construction, operation and maintenance of pipelines and expressed hesitation to allow two-class bumps without requiring that the pipeline be replaced, especially for higher pressure pipelines. PHMSA committed, however, to further evaluating alternatives to pipe replacement and to seeking input from industry stakeholders. The ANPRM seeks comments on ten topic areas addressing the potential safety consequences of permitting an operator to implement IM measures in response to a class location change instead of having to replace pipe, reduce pressure, or perform a pressure test. After receiving comments, PHMSA may issue a proposal to amend current regulations. On August 31, PHMSA and the Federal Energy Regulatory Commission (FERC) signed a Memorandum of Understanding (MOU) establishing a framework for improved coordination and exchange of information when processing applications for proposed liquefied natural gas (LNG) facilities. The MOU provides that PHMSA will provide FERC a Letter of Determination addressing whether a proposed facility will comply with the safety standards in 49 C.F.R. Part 193. FERC will then consider PHMSA’s determination when deciding whether a project is consistent with the public interest. The MOU supersedes a 1985 MOU between FERC and PHMSA, but does not supersede a 2004 MOU among FERC, PHMSA, and the U.S. Coast Guard. On September 7, a California state jury found Plains All American Pipeline, L.P., (Plains) guilty of one felony for unlawfully discharging oil into state waters and eight misdemeanor charges related to the 2015 oil spill near Refugio State Beach in Santa Barbara, California. A mistrial was declared with respect to two other felony criminal charges and one misdemeanor criminal charge. PHMSA Rulemakings Update. The tables below summarize the status of the PHMSA’s pending pipeline safety rulemaking initiatives as reflected in the Department of Transportation’s (DOT) August Significant Rulemaking Report and the Office of Management & Budget’s (OMB) Office of Information and Regulatory Affairs (OIRA) Spring 2018 Unified Agenda of Regulatory and Deregulatory Actions. The Unified Regulatory Agenda appears in two principal parts, Current Agenda Agency Regulatory Entries for Active Actions and Current Long Term Actions. New information is highlighted in bold. PHMSA announces user fee structure for underground natural gas storage facilities. On August 9, PHMSA issued a notice announcing that it developed the user fee rate structure to fund the Underground Natural Gas Storage Facility Safety Account for fiscal years 2018 and 2019 based on the number of injection/withdrawal wells and monitoring/observation wells that operators reported in their underground natural gas storage annual reports for calendar year 2017. For fiscal year 2020, PHMSA intends to use calendar year 2018 data. The notice also explains how the fee was calculated. In response to a comment that well counts alone are not an appropriate measure for calculating the user fee because larger wells require more regulatory oversight, PHMSA explained that each well presents risk and that it intends to apply a consistent level of regulatory oversight to all wells, regardless of size. PHMSA requests comments on Pipeline Risk Modeling Report. On August 16, PHMSA issued a notice requesting comments on a report developed to support improvements in gas and hazardous liquid pipeline risk models titled “Pipeline Risk Modeling – Overview of Methods and Tools for Improved Implementation.” The report, which is based on the results of PHMSA’s Risk Modeling Work Group, provides an overview of the major types of pipeline risk models and their effectiveness in supporting risk assessments and pipeline operator decisions. Comments are due on October 17. PHMSA Voluntary Information Sharing Working Group schedules new meetings. PHMSA has announced that the Voluntary Information-Sharing (VIS) Working Group will convene public meetings in Washington D.C. on October 3 and November 9 to continue discussions regarding establishment of a voluntary information-sharing system. Topics addressed by the VIS Working Group include requirements of section 10 of the Protecting Our Infrastructure of Pipelines and Enhancing Safety (PIPES) Act of 2016, integrity management, data types and tools, in-line inspection methods, geographic information system implementation, examples of existing information-sharing systems and safety management systems. Information on the meetings is here. PHMSA appoints Deputy Associate Administrator for Policy and Programs. On August 8, PHMSA announced the appointment of Massoud Tahamtani as the Deputy Associate Administrator for Policy and Programs with PHMSA’s Office of Pipeline Safety. Tahamtani previously served as the Director of the Division of Utility and Railroad Safety with the Virginia State Corporation Commission. DOT OIG releases report addressing how DOT operating administrations refer potential criminal activity. On August 22, DOT’s Office of Inspector General (OIG) released a report assessing DOT’s policies and procedures for promptly referring potential criminal activity to OIG. With respect to PHMSA, OIG found that the Office of Pipeline Safety (OPS) requires that all referrals arising from enforcement activities involving a regulated entity be reviewed by the Office of Chief Counsel. According to OIG, OPS’s Pipeline Safety Enforcement Procedures manual sets forth a multi-step process involving documenting evidence, conducting legal research, gathering records, and preparing a memorandum. OIG found that this process is inherently contrary to DOT’s requirement that such referrals be made without delay. OIG recommended several measures to ensure that DOT and its operating administrations have policies and procedures to promptly refer potential criminal violations to OIG. Wildearth Guardians files complaint against PHMSA. On August 14, Wildearth Guardians filed a complaint against PHMSA alleging failure to ensure that oil and gas pipelines and associated facilities on publicly-owned, federally-managed lands throughout the United States are annually examined and inspected. WildEarth Guardians claims that such inspections are required by the Mineral Leasing Act. On June 29, the California Department of Conservation Division of Oil, Gas, and Geothermal Resources announced that new final regulations for underground gas storage projects have been finalized to replace emergency rules that have been in effect since early 2016. The new regulations include standards, specifications, and requirements for well construction, mechanical integrity testing, risk management plans, emergency response plans, project data, monitoring, inspection, and project decommissioning. The regulations become effective October 1. SB 167 went into effect on August 8, 2018, enhancing enforcement of the excavation damage prevention law and creating the Underground Damage Prevention Safety Commission (Commission). The commission has rulemaking and enforcement authority regarding specified portions of the excavation damage prevention law. Under current law, certain underground facilities are considered “tier 2” members of the notification association, and excavators must contact them directly to request marking of their facilities. Effective January 1, 2021, all underground facility owners and operators will be full members of the notification association, and excavators will no longer need to contact the owners or operators directly to arrange for marking of underground facilities. The law requires all new underground facilities installed after January 1, 2020, to be electronically locatable. On August 17, the Illinois Commerce Commission (ICC) published a proposed rulemaking which would incorporate by reference Parts 192 and 199 and select provisions of Part 191 of the federal pipeline safety regulations that were in effect on July 1, 2018, and would clarify that reports required by Part 191 that pertain only to the downhole portion of an underground natural gas storage facility need not be filed with the ICC. A companion proposed rule would remove several obsolete references to PHMSA’s report forms, allow for electronic filing of certain reports to the ICC, and update several statutory citations. Comments are due October 1. On August 20, the Minnesota Public Utilities Commission issued an order requiring that natural gas utilities provide and pay for excess flow valves (EFVs) and curb valves upon customer request, modify customer notices regarding EFVs, and report the status of EFV and curb valve installation. The order also requires that utilities develop plans to discuss installations of EFVs and manual service line shutoff valves with schools, hospitals, and multi-unit residential and nursing facilities that do not have them installed yet. In May, the Nevada Public Utilities Commission proposed to amend its regulations regarding One Call. The amendment would require an excavator to call emergency 911 services if the excavator causes or observes any damage to a subsurface installation that causes the release of certain gases or hazardous liquids. The North Dakota Public Service Commission has amended its rules to adopt by reference Part 193 and to update the adopted versions of Parts 190, 191, 192, 194, 195 and 199, to those that were in effect as of December 31, 2017. On June 18, the Oklahoma Corporation Commission amended the gas and hazardous liquid pipeline safety regulations to adopt the versions of 49 CFR Parts 192, 195, 198, and 199 that were in effect on January 1, 2018. The updated rules are effective on October 1. HB 2605 was introduced on September 5 and would impose an impact fee on operators that utilize oil and gas pipelines, including gathering lines. The fee will be based on the acreage of linear feet plus right-of-way width using the county average land value in an “affected area,” which is defined as an HCA, and will not be imposed on pipelines in existence on the new law’s effective date. Funds will be remitted to counties and municipalities containing affected areas. The bill was referred to the Committee on Environmental Resources and Energy. House Resolution No. 1034, introduced on September 5, would, among other things, direct the Department of Environmental Protection and the Pennsylvania Public Utility Commission to prepare a comprehensive assessment of the construction and operation risks associated with the Sunoco Pipeline L.P. Mariner East 2 natural gas liquids pipeline project and address public concerns about enforcement of permit protections and safety standards. The proposed resolution also would direct the DEP to require that Sunoco submit a detailed plan addressing spills of drilling fluid. The resolution was referred to the Committee on Environmental Resources and Energy. HB1024 was signed by the Governor on February 22, establishing the Statewide One‐Call Notification Board through which a person can notify operators of underground facilities of plans to excavate and request the marking of the facilities. It requires all operators to become members of the one-call notification center and submit the locations of their underground facilities to the center. The law becomes effective on July 1, 2019. On June 12, the Virginia State Corporation Commission issued an order adopting proposed regulations outlined in a January 23 petition for rulemaking by Columbia Gas of Virginia. The rule provides greater flexibility when conducting trenchless excavation that crosses gravity fed sewer mains and combination storm/sanitary sewer system utility lines. The new rules became effective on July 1, 2018.